Bring your laptop and company file to this customized one-day lab. We’ll answer your questions and do reconciliations. 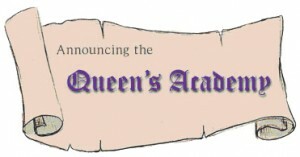 Lab size is limited to ten students, so everyone has access to the Queen’s expertise for their own individual questions. Available only to graduates of the QuickBooks Weekend Warriors Workshop. Friday, November 15, 2013. Limited to 10 students. If you prefer to register by mail or fax, please use this downloadable registration form. You may also e-mail Pamela or call her at (415) 925-1830. Sign up to receive email updates, class announcements, and other important information! After you sign up for the newsletters, please call Pamela at 415-925-1830 for your free 30-minute phone consultation.